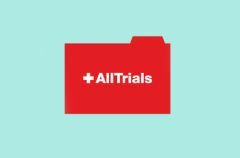 This page shows the latest Clinical trials transparency news and features for those working in and with pharma, biotech and healthcare. Increased transparency with regard to clinical trials and their outcomes is also one of the mainstays of the new Regulation. ... Industry supports the provisions related to disclosure of information on clinical trials under the Regulation. Clinical trials in Mexico. Mexico stands out among many other clinical trial outsourcing destinations both for speed and cost savings. ... There are many well qualified, US-trained physicians in Mexico who could lead successful clinical trials. A leading global CRO, PRA is transforming clinical trials through our people, innovation and transparency.